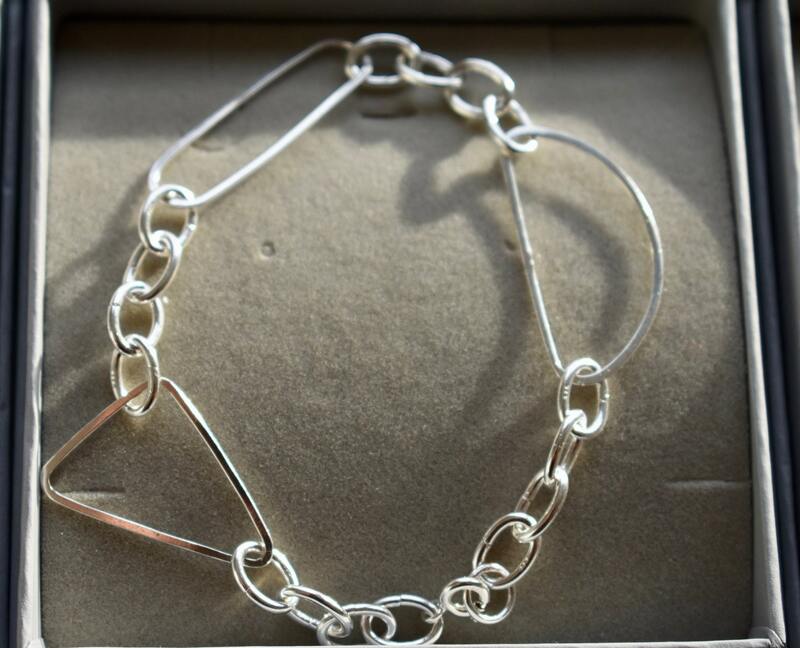 Handcrafted Sterling Silver 925 geometric shapes are connected by small circular oval links also made from sterling silver 925. 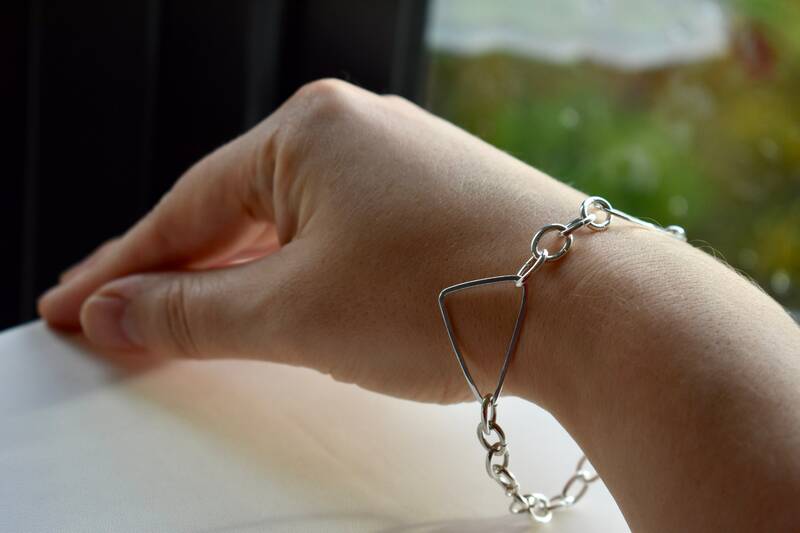 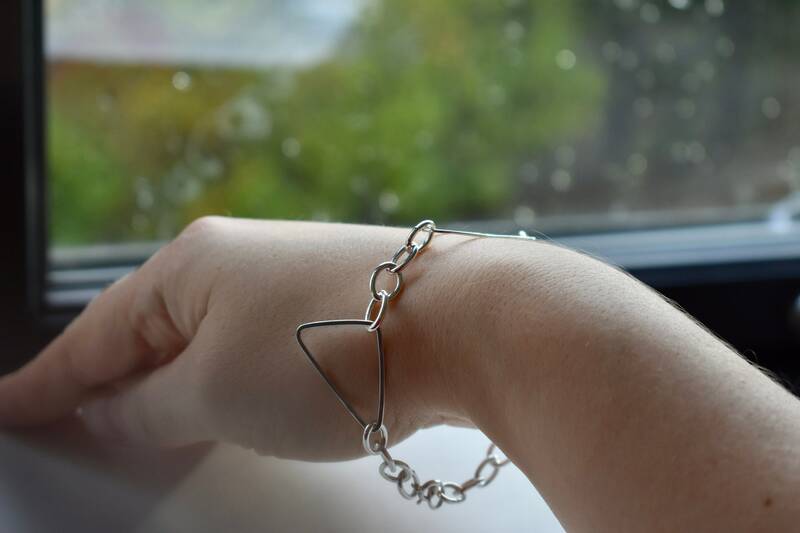 This bracelet is beautiful on and handcrafted in my Edinburgh studio from Sterling silver 925. 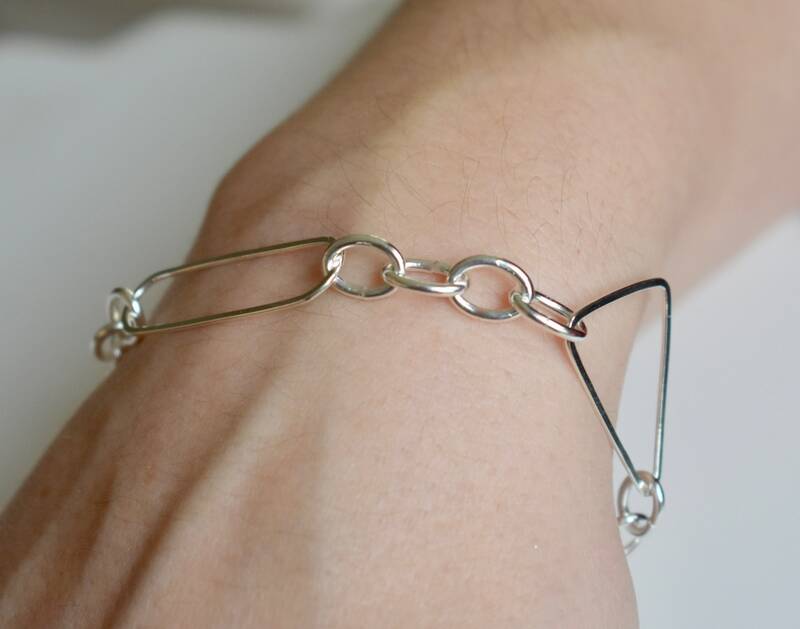 This bracelet comes gift boxed and with a free polishing cloth and would a wonderful gift.